This beautiful bruiser is full of the smoky rich taste we crave in dark tomatoes. Vigorous stocky plants are one of the first large varieties to ripen. Prolific producer of smooth round tomatoes that are easy slicers; they also cook into a quick delicious sauce. 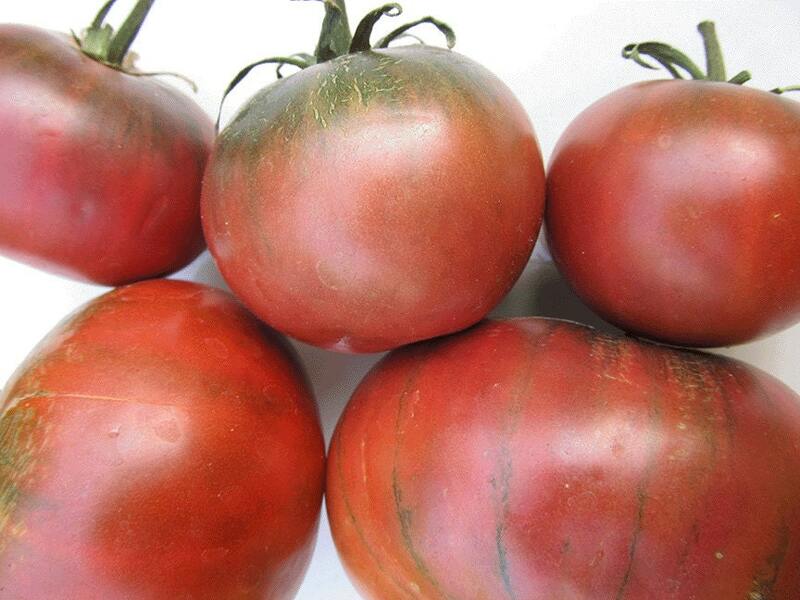 Cherokee Chocolate began as a chance mutation of skin color in a stand of Cherokee Purple tomatoes grown by Craig LeHoullier of Raleigh, North Carolina. 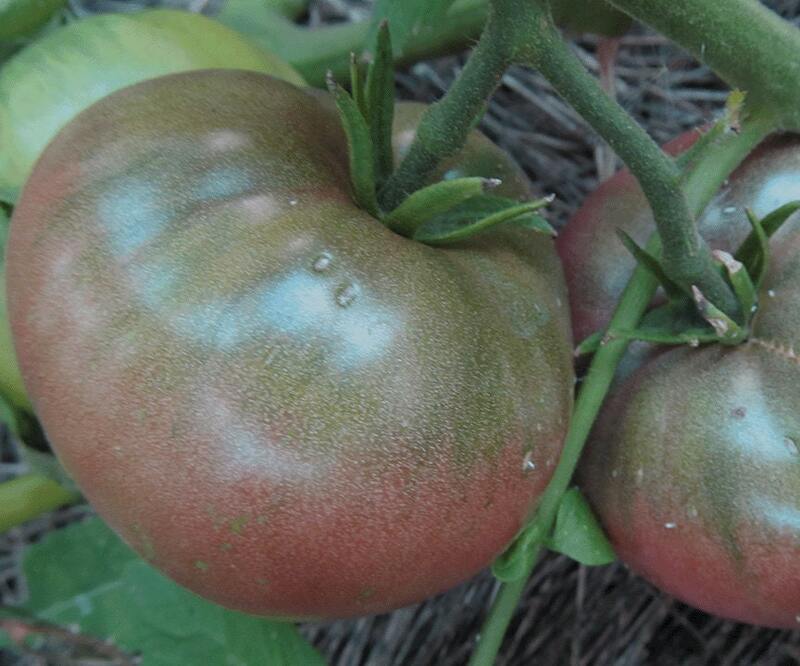 The yellow pigment of the skin gives Cherokee Chocolate its mahogany color (Cherokee Purple’s skin pigment is clear, making the tomatoes more pinkish purple). Craig stabilized the Chocolate variety in 1995. Controversy abounds in regard to the relative merits of the two varieties, with many people calling them equally fabulous and some claiming Cherokee Chocolate superior. No one says Cherokee Purple is better.